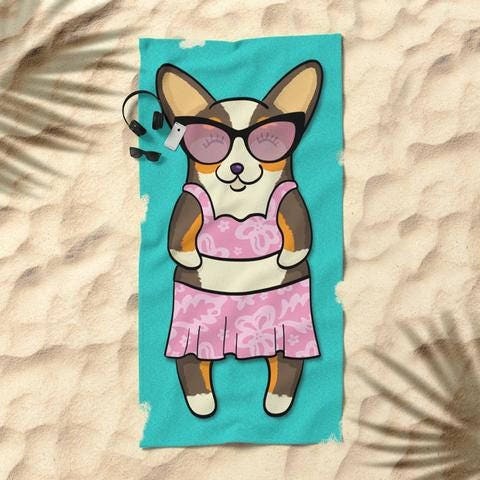 Hit the beach in corgi style with my Fluff In The Sun Corgi beach towels! 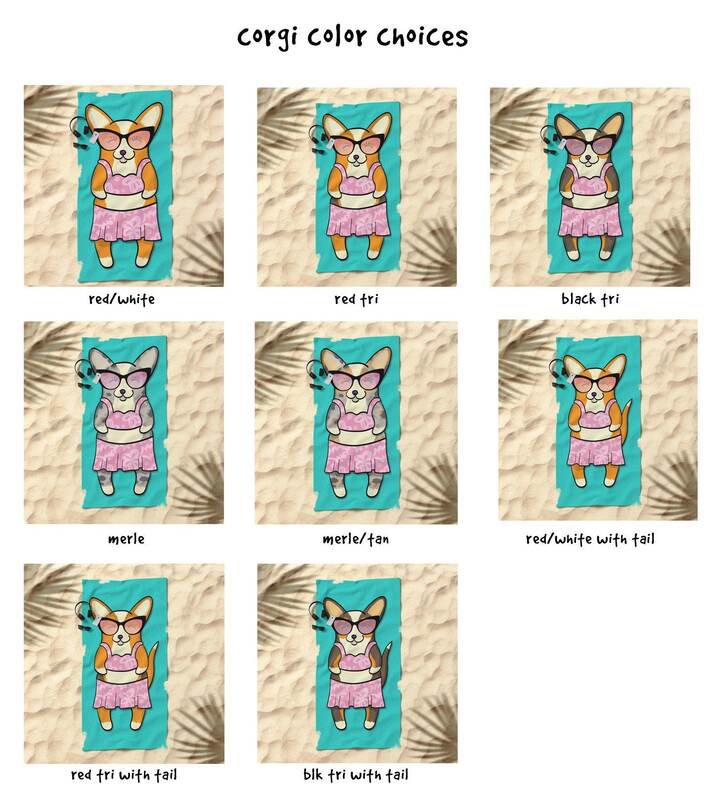 **Poly cotton towels - Each of these durable beach towels is printed on a polyester face and has a white cotton loop backing. **Microfiber towels - The microfiber beach towels are just as soft as poly cotton but are thinner, smoother, and more resilient. Machine wash cold, gentle cycle, mild detergent. Tumble dry low heat. 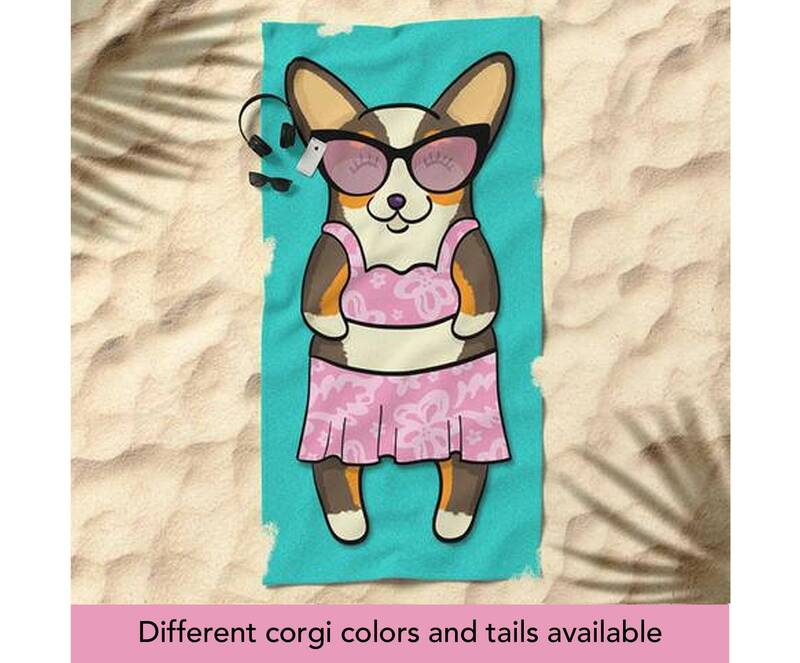 This item is made to order and typically takes 4-7 business days before shipping. My mom loved it for her birthday!